If you missed our recent interviews with leading investors/portfolio managers Warren Isabelle, Mary Lisanti and Nick Galluccio, it’s worth the time to go back and read them. All three are highly-acclaimed, veteran small cap stock investors, and each offers valuable insights about what to look for in 2013 and the investment landscape to expect in upcoming months, among other important information. They called out a variety of stocks to watch, including some small caps. So let’s take a look at the small caps in the group (less than $1 billion in market cap). We’ll come back and check on their progress in a few months. Santa Clara, CA-based Extreme Networks (Nasdaq: EXTR, http://www.extremenetworks.com) makes data switches among other products. The company has recently brought in new management focused on marketing. Its 52-week trading range is $2.87-$4.43 and its market cap is $357 million. It closed Jan. 18 at $3.76, down 1 cent for the day. Lexington, MA-based Synta Pharmaceuticals (Nasdaq: SNTA, http://www.syntapharma.com) develops and commercializes small molecule drugs. Its lead drug, Ganetespib, is designed to inhibit the growth of cancerous tumors. Its 52-week trading range is $3.57-$10.83 and its market cap is $664 million. It closed Jan. 18 at $10.74, up 32 cents for the day. Waltham, MA-based Repligen Corp. (Nasdaq: RGEN, http://www.repligen.com) is a life sciences company that manufactures biologic products used to make biologic drugs. Most importantly it manufactures Protein A, a reagent used to manufacture monoclonal antibody-based therapeutics. Its 52-week trading range is $3.51-$7.31 and its market cap is $213 million. It closed Jan. 18 at $6.83, down 5 cents for the day. Westford, MA-based Sonus Networks (Nasdaq: SONS, http://www.sonusnet.com) is a provider of voice and multimedia infrastructure solutions and has a new product line of SBCs (session border controllers). Its 52-week trading range is $1.36-$3.11 and its market cap is $643 million. It closed Jan. 18 at $2.29, down 1 cent for the day. State College, PA-based Rex Energy Corp. (Nasdaq: REXX, http://www.rexenergy.com) is an independent oil and gas company operating in the Appalachian and Illinois basins. It operates approximately 2,120 wells, mostly for natural gas. Its 52-week trading range is $8.80-$14.65 and its market cap is $728 million. It closed Jan. 18 at $13.78, up 17 cents for the day. Charlotte, NC-based Chiquita Brands International (NYSE: CQB, http://www.chiquita.com) is an international marketer and distributor of bananas and other produce sold under the Chiquita and other brand names in 70 countries and packaged salads under the Fresh Express brand, among others. 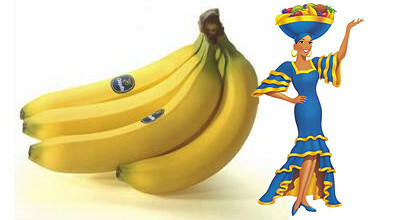 Its new management is emphasizing bananas and other fruit. Once a $30 stock, its 52-week trading range is now $4.62-$10.57 and its market cap is $347 million. It closed Jan. 18 at $7.49, down 3 cents for the day. Houston-based Carrizo Oil & Gas (Nasdaq: CRZO, http://www.crzo.net) is an independent energy company and another natural gas play. At the start of 2012 CRZO had proved oil and gas reserves of 935.6 billion cubic feet, most of it natural gas. Its 52-week trading range is $19.04-$31.62 and its market cap is $890 million. It closed Jan. 18 at $22.19, down 20 cents for the day.